The Monster Hunter World cross-over event with Final Fantasy 14 will go live the first week of August. 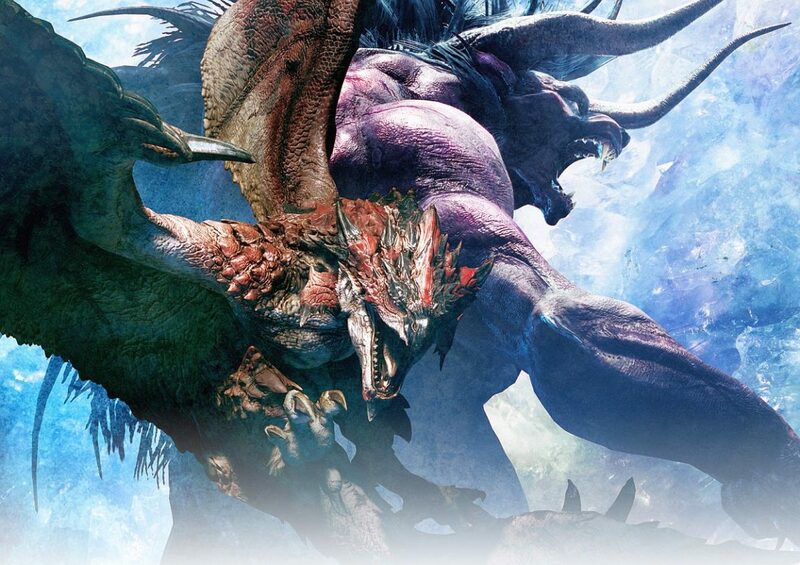 The Monster Hunter World cross-over event will see Final Fantasy 14’s Behemoth come to the game on August 1. The collaboration was announced during Square Enix’s E3 press conference and it’s a cross-over seven years in the making. 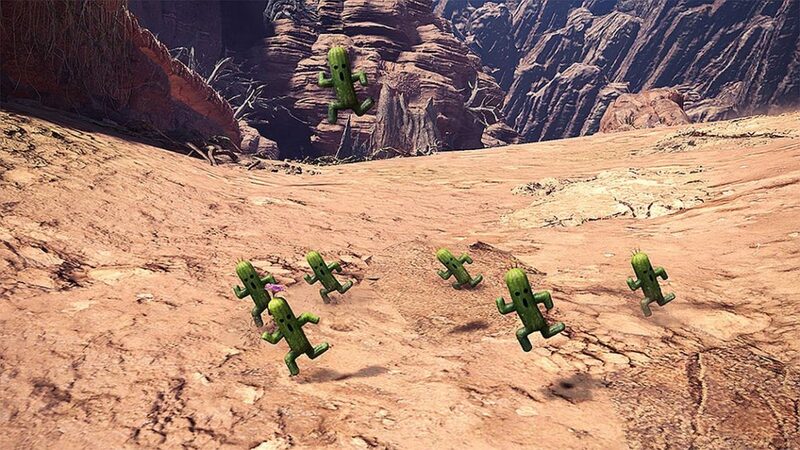 Along with fighting the Behemoth, players will see Cactuars appear on the battlefield, and they can be used as environmental traps. Players may even run into cactuar cuttings or flowering cactuar cuttings. 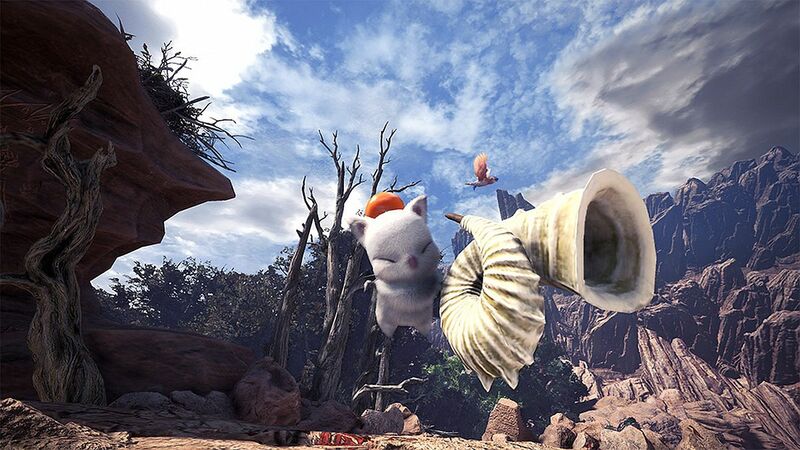 There’s a new set of Palico equipment which makes the creature look just like a Moogle, and Poogies can take on the Behemoth form. The latter is anything but frightening. It’s actually rather adorable. 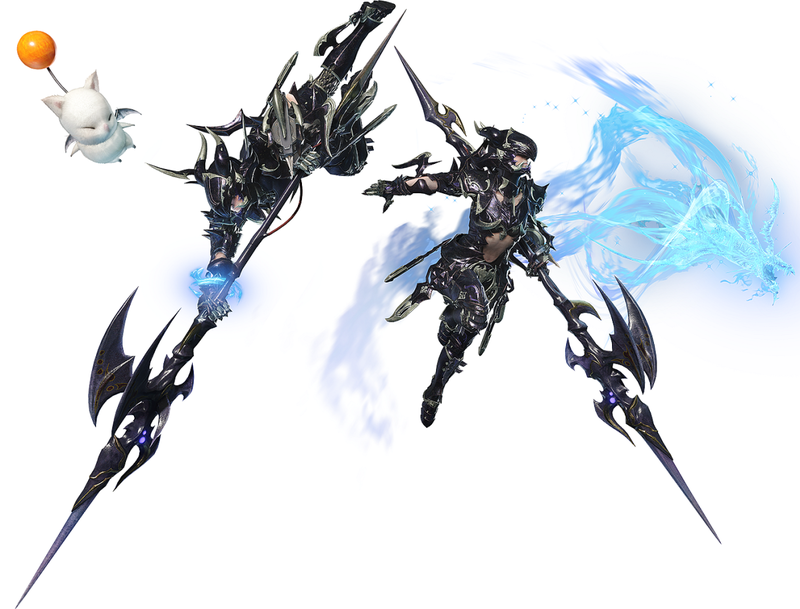 A look at the Drachen armor set is provided and the Hunter is seen packing around the Gae Bolg Insect Glaive and Dragon Soul Kinsect, to look just like a Dragoon. You can get an idea of what to expect in the new gameplay trailer. In it, you’ll see a Hunter interacting with a Moogle and a Kulu-Ya-Ku staring at a mysterious crystal. After growing rather large holding the crystal, the monster holds it while attacking the Hunter. The Monster Hunter World Behemoth event kicks off August 1 at 5pm PT, 8pm ET and on August 2 at 1am BST, 2am CEST. For a breakdown of what you’re seeing, Arekkz goes over all the information on the event known at present. 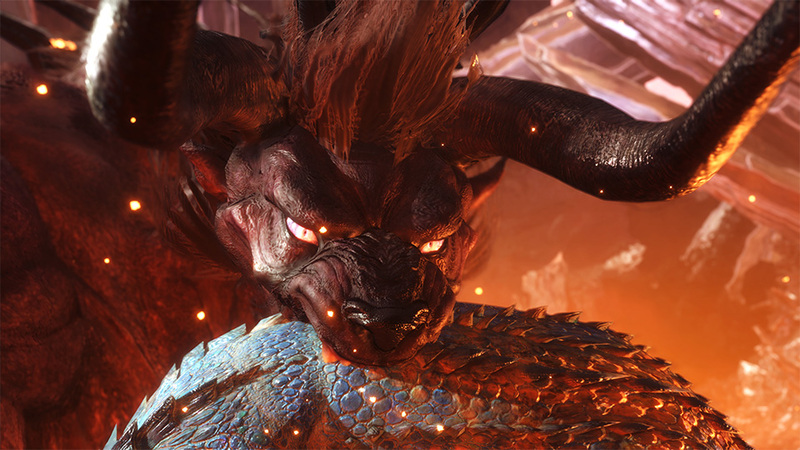 Monster Hunter World will be released through Steam on August 9, and PC players will also be able to hunt the Behemoth. You can look over the minimum and recommended PC specs through the link.